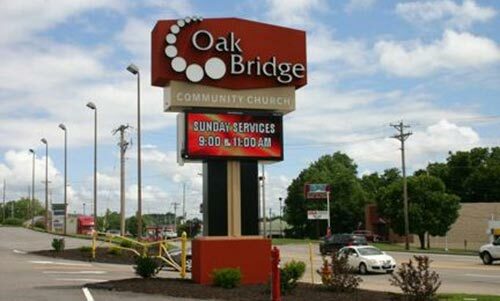 Brand New sign for Oak Bridge Community Church! 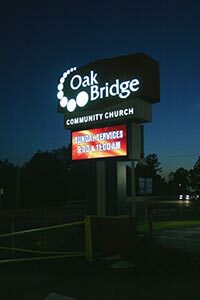 We are excited and proud to have designed, fabricated and installed this new pole sign with full color L.E.D. 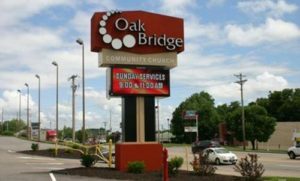 message center for our friends and neighbor Oak Bridge Community Church in Arnold, MO.